**NEW** The Daily CD: Costa, Hazard, Lampard and more! Rather than focus individual blog posts for every single Chelsea story, I have decided (during the close season) to publish "The Daily CD (Chelsea Digest)" of all the rumours that are flying about for your take on things being talked about in the media. News that of John Terry's new contract the other day led me to personally believe that Frank Lampard's contract would be sorted out just as quickly but for one reason or another, it hasn't happened. According to the Daily Mail, talks between both parties are in danger of breaking down. It comes as no surprise that the paper speculates that the reason is because of Lampard's wage demands but I personally can't see it. A deal at this stage of his career wouldn't be about money as Lampard has never seemed driven by financial gain. I am sure he has offers to go elsewhere for a final lucrative contract if he wanted it but I am sure there is more to it but not anywhere near as serious as the speculation makes out. It's clear that the manager wants him to stay for one more season so expect it to be sorted out soon. 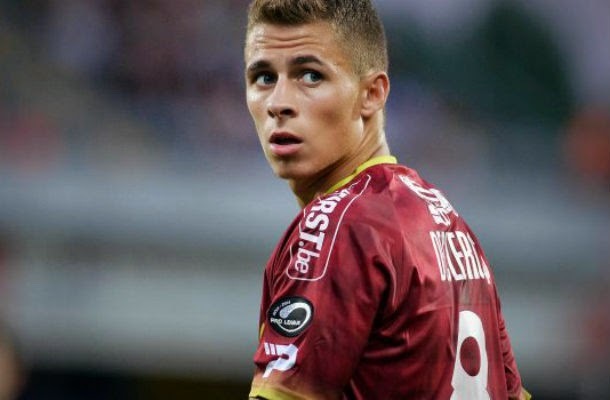 Thorgan has had a fantastic season in Belgium with Zulte Waregem and has just been named Belgian Player of the Year scoring16 goals so far. Just this week, Hazard has been called up to the Belgium standby squad for the World Cup. The situation with his future remains unclear. Some reports indicate that he will return to Chelsea and play a part in our pre season tour. Some reports claim that Chelsea are looking to send him out on Loan in the Premier League next season and one report states that Liverpool are interested in signing him on a permanent deal. 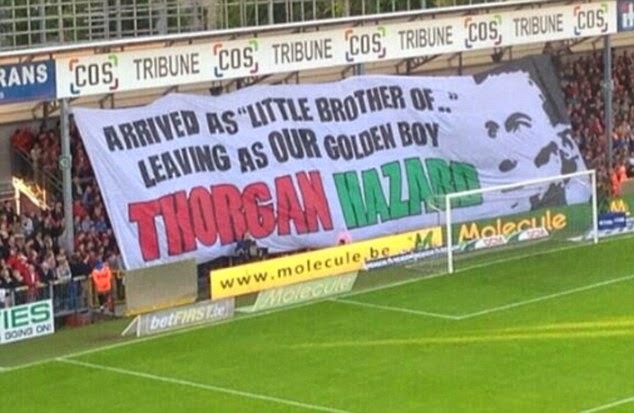 Jose Mourinho flew to Belgium this week to watch Hazard in action against Anderlecht in the play offs over there as Zulte were defeated 1-2. Here's a video showing exactly what Hazard can do! 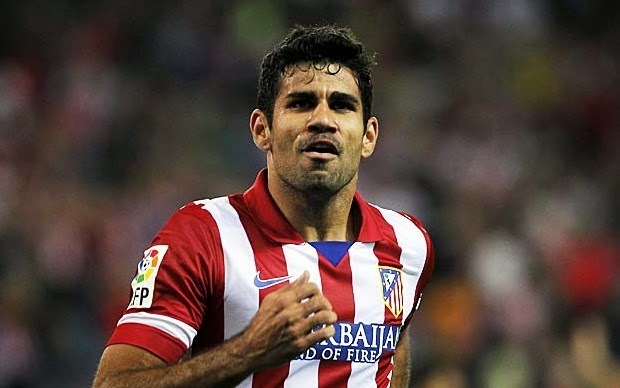 Diego Costa will sign for Chelsea as soon as the Champions League Final is over next weekend. In a deal worth £32m Chelsea have been keen to have the player signed up before everyone heads out to Brazil for the World Cup. As yet the players wages are unclear but it's believed that Costa will triple his current wages at Atletico to £150,000 per week. There is no indication that any of the current Chelsea players on our books are involved as part of the deal. Off to Barcelona or off to Bayern Munich, it's unclear but David Luiz is a wanted man and it looked like he would be off to Spain before the World Cup over these past couple of weeks. 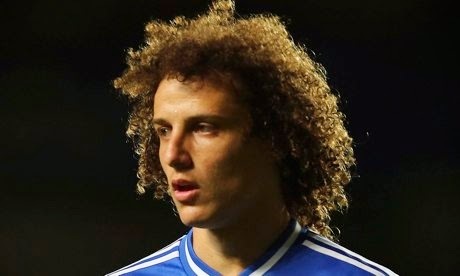 However, Pep Guardiola isn't happy with his back line after their defeat to Real Madrid in the Champions League and sees Luiz as someone to come in and sure things up! If the player was to become available, expect a tug of war between the two clubs but with a bid of approx £30-£40m in the pipeline from the Catalan side, I expect him to go to Barcelona if Jose Mourinho has decided he can go. So people, there you have it for today. I am sure you have seen a couple more stories doing the rounds but I just wanted to post up my views. What do you think about the stories above?